For many years I taught Home Economics and I still love to cook but one thing that may surprise you is that I have a very small collection of cooking books. I borrow lots from the library but I only buy the ones I check out again and again. I do love to collect old fund-raising recipe books though and there is a growing pile on my kitchen bookshelf. I think I like them because they’re filled with everybody’s very best and favourite recipes – just about guaranteed to be a winner every time. (Although I think I will respectfully pass on Mrs F Sheates Liver and Heart of a Sheep circa 1946). I was excited to receive a new book to add to my collection last week (jumping like a loon actually) when a good friend sent me a copy of her local school’s recently published fund raiser. If you’re thinking black and white pages, photocopied recipes and no illustrations, think again. It’s a masterpiece. Seriously. A beautiful, beautiful book full of delicious recipes and local stories, and pages and pages of colorful school-life photos. I love that the recipes have a little blurb from the families who submitted them. Almost every recipe had my mouth watering. She had contributed our favourite pikelet recipe and thought I might like to see it in print. 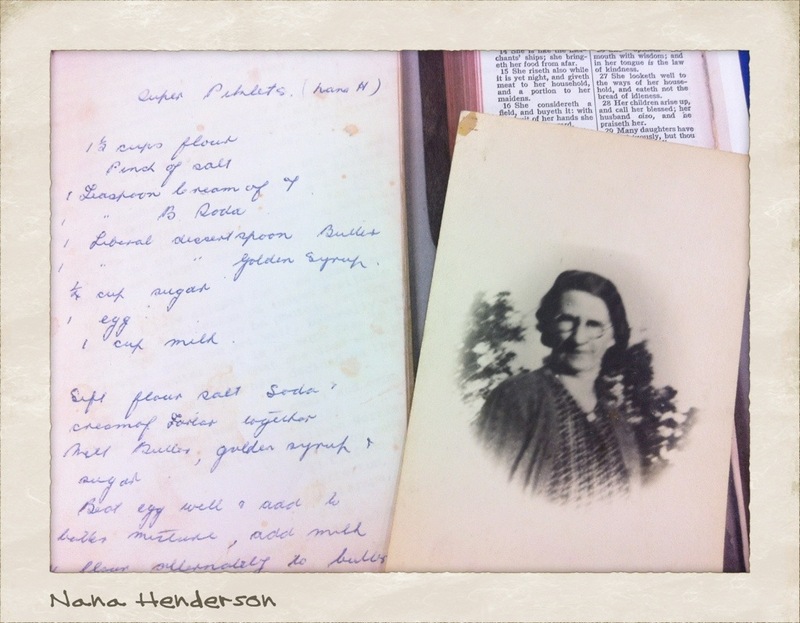 It’s my great-grandmother’s recipe (that’s Nana Henderson in the photo) and is written in a little notebook in my grandmother’s hand. All of my family use this heirloom recipe to make their pikelets. One day I’d like to have it printed on tea towels for us all – there’s a great tutorial at Spoonflower – but for now it’s nice to know that Nana’s Super Pikelets will continue to be devoured up and down the country. 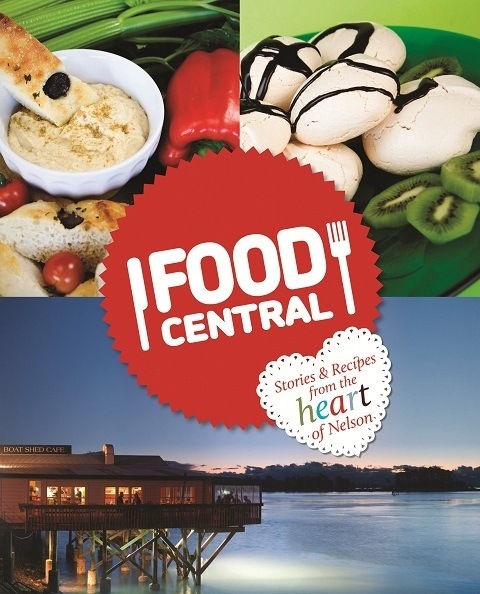 And if you’re in the market for some great Christmas gifts, check out Food Central on the front page of the school website. You won’t be disappointed. Wow, and there she is herself. She looks like a great person and I bet she made lots of great things as well as wonderful pikelets.